Paychex is having a strong day in the market today, and for good reason. The company released its earnings report for the fourth quarter. The results were positive overall. Not only did earnings come in line with expectations, revenue was strong and expectations moving forward are positive. Today, we’ll talk about what we saw from earnings, how the market reacted to the news, and what we can expect to see from PAYX moving forward. Top-Line Revenue – In terms of top-line revenue, PAYX did incredibly well. During the fourth quarter, analysts expected that the company would generate revenue in the amount of $751.52 million. However, the company actually reported that revenue came in at $753.9 million in the fourth quarter. Earnings Per Share – As mentioned above, earnings per share came right in line with expectations. During the fourth quarter, the PAYX reported earnings of $0.49 per share. This was the exact number that analysts were expecting to see. The effective income tax rate for fiscal 2017 is expected to be in the range of 35.5% to 36.0%. As investors one of the first things that we learn when we get started in the market is that the news causes movement. When positive news is released surrounding a publicly traded company, we can expect to see gains in the value of the stock associated with the company. Adversely, negative news will generally lead to declines. The news that was released by PAYX today was overwhelmingly positive. After all, investors love to see strong earnings reports followed by strong guidance, and the company hit both key points. As a result, we’re seeing gains in the value of the stock today. Currently (10:47), the stock is trading at $58.09 per share after a gain of $1.95 per share or 3.47% thus far today. 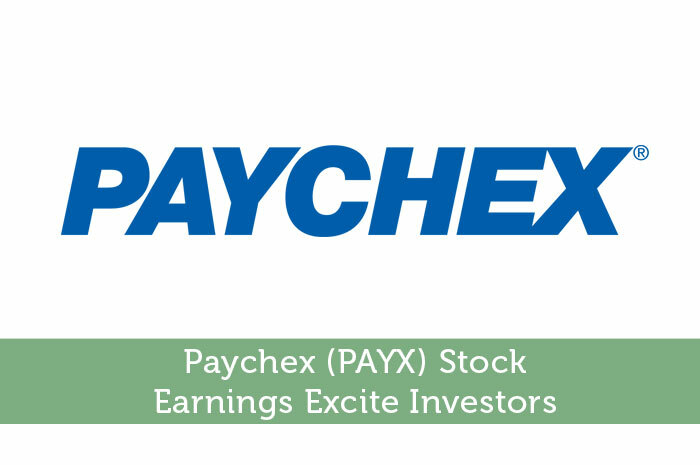 Moving forward, I have a relatively mixed opinion of what we can expect to see from Paychex stock. First and foremost, things are looking good from the report that was released today. The company is seeing compelling growth in areas of revenue and earnings, and is expecting to see continued growth in FY 2016. However, there is a bit of bad news here too. As investors, it’s incredibly important for us to take risk into account when making investments. Because of the nature of the business at PAYX, the company is highly susceptible to economic changes in the United States and around the world. With the British people recently voting for a Brexit, there’s quite a bit of economic uncertainty at the moment. As a result, this is adding risk to the profile of PAYX. So, if you do decide to invest in the company, please consider the risk and move with caution. Where do you think PAYX is headed moving forward and why? Join the discussion in the comments below! Darn, was thinking of investing in this stock earlier this week. Missed opportunity!